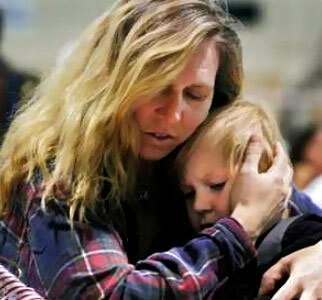 We have provided shelter, meals, and support services to homeless Families. We believe families should stay together—not be separated—during the most difficult times in their lives. More than 80% of the families we serve find housing in less than nine weeks because of our intensive case management and community support. We mobilize more than 100 dedicated volunteers who make a tremendous difference in families’ lives—and in Linn County. For every dollar invested in Family Promise, $3 in goods and services goes back to serving families. Our volunteers don’t stop at shelter, meals, and support services. Ideas are brewing for housing programs, homelessness prevention, health care, life skills, and mentoring. We help people understand what life in poverty is like. Family Promise builds greater understanding of problems — and of solutions.